Today we have our second tutorial filmed with Paloma Gómez. If you missed the first tutorial you can find it here. We created a free guide for you to download and use when you practice this step. Enter your details below and we'll send it to your inbox. 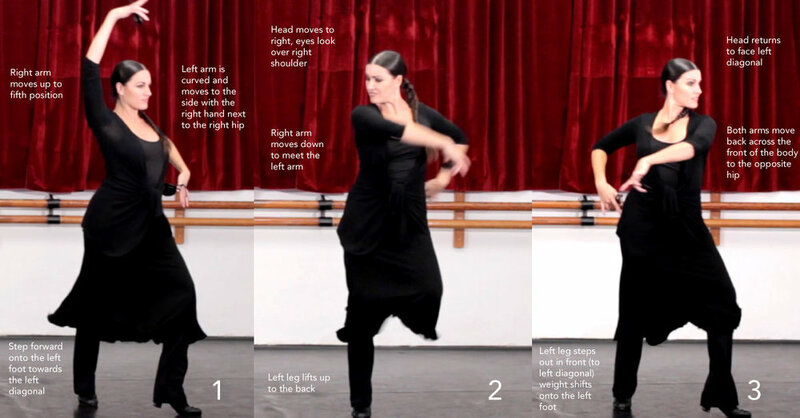 Before we get to looking at the castanets in detail, Paloma marks the exercise slowly without playing her castanets. Finally we have a demonstration of the castanet pattern used for the phrase. We hope you enjoy practicing this exercise. Please let us know how you get on in the comments.